Elliot Cox speaks to Camp Delafield students about his achievements on and off the track.On and off the race track, Elliot Cox is a force. Elliot is a proud Dii alumni and straight "A" student at Gray Road Christian School. 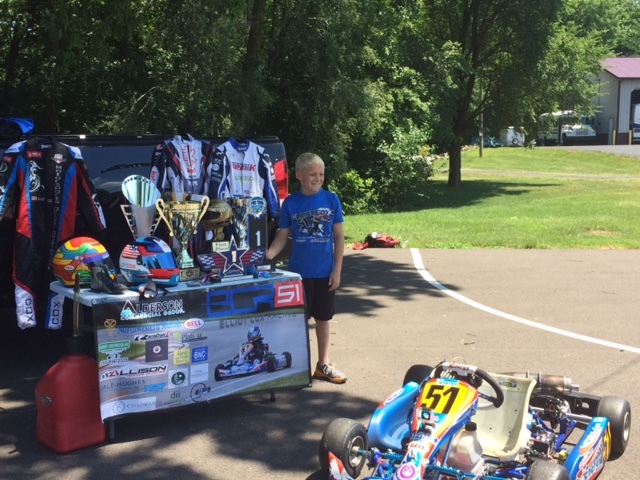 Elliot travels the country on the SKUSA circuit and is currently sitting in first place going into the final race of the season in August. Elliot dreams of becoming the youngest Indy 500 winner, and he attributes his dyslexia to his success. Elliot races to raise awareness for Alex’s Lemonade Stand and the Dyslexia Institute of Indiana. In 2015, Elliot partnered with his hero, the late Justin Wilson, Scott Dixon and Stefan Wilson in the "Dyslexia Doesn't Stop Me" campaign. To date, he has helped raise over $12,000 for the Dyslexia Institute of Indiana. Interested in seeing Elliot in action? Support him on July 15 and 16 at the WKA Manufacturer's Cup at New Castle Motorsports Park. For more information about Elliot and his upcoming races, click here. 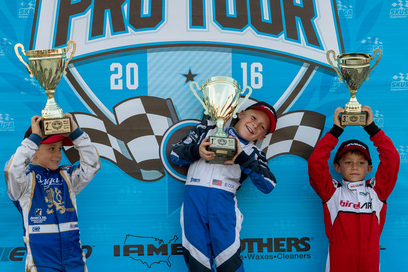 When Elliot's father, Travis Cox, is not tuning his kart, he serves as the President of Dii's Board of Directors.